Creeping along the rooftops, the scout watches the knights stumbling from the tavern. Distracted by the rowdy nobles arguing over their cups, no one notices the shadowy figure in the Dark Rogue Heavy Leather Armour stalking her mark. Hand crafted in our shop from 13/15 ounce leather with 3/4 ounce accent pieces, this leather harness is finished with steel hardware. Similar to the Dark Rogue Leather Armour (DK5009), this heavy armour is made from armour grade leather to offer more protection in combat. This armour features stylized plating along the core, creating an impressive look between roguish escapades. 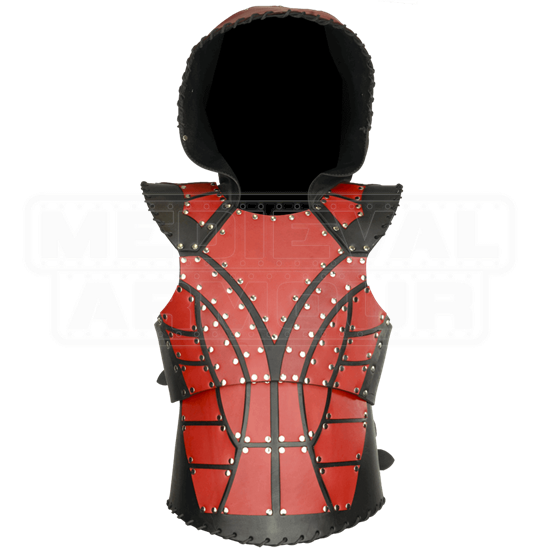 This leather armour is a two-piece design, featuring a broad belt that covers the abdomen as well as a matching chest protector that covers the chest and shoulders. A hood is attached to the top, befitting those who prefer to keep their identities hidden and secret, while it also features a pair of sword frogs attached to the back, for those who want to keep their weapons handy and available. 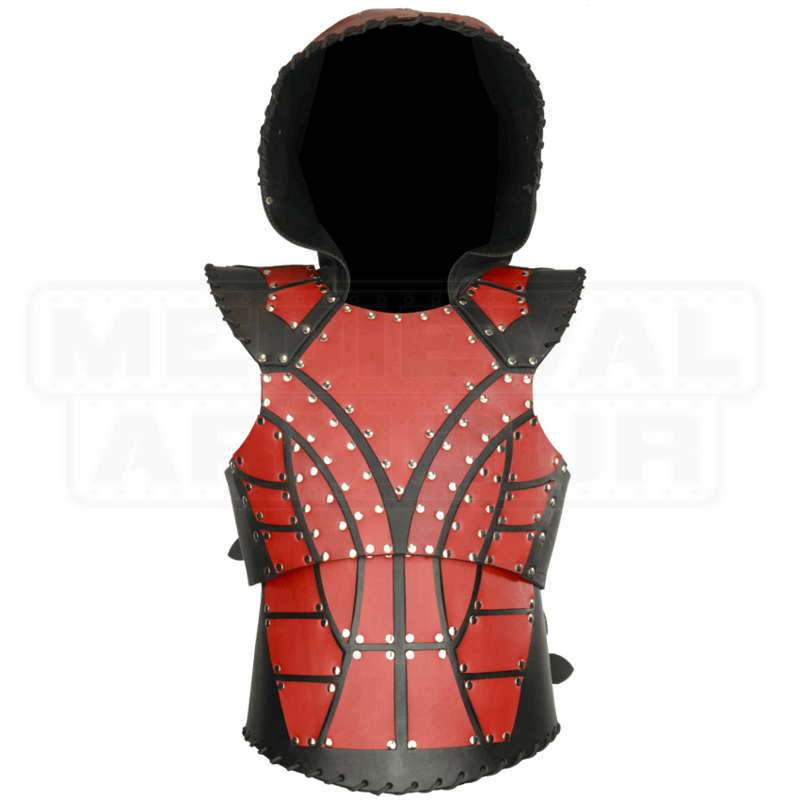 Both pieces of the armour are belted around the sides and the back, providing an adjustable design that can fit between a 31 to 46 inch chest. Rugged and appealing for assassins, thieves, and scouts, this Dark Rogue Heavy Leather Armour provides the perfect battle-ready look for any skirmisher or adventurer. When selecting your colors the first color listed is for the base of the armour while the second color listed is for the overlay accent pieces.